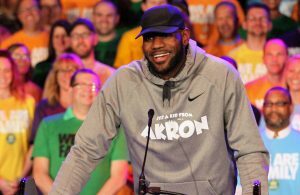 (Cleveland, OH) – A 32-8 first half run helped the Cleveland Cavaliers collect their 14th straight home victory as they knocked off the Brooklyn Nets, 117-92, in Wednesday night action at Quicken Loans Arena. 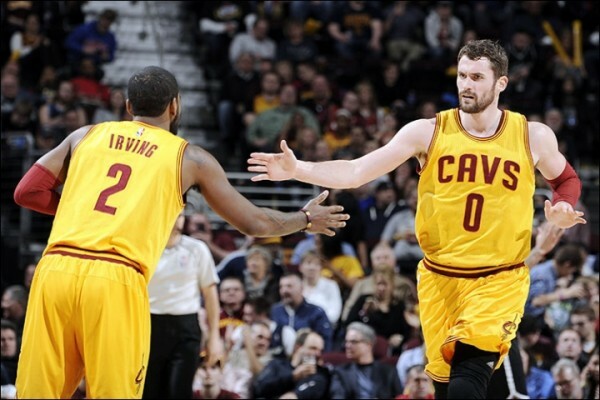 Seven different players scored in double figures for Cleveland, with Kyrie Irving and Kevin Love each notching double-doubles. Irving scored 12 and handed out 10 assists, while Love chipped in with 10 points and 11 boards after sitting out the last two contests. J.R. Smith and Timofey Mozgov led with 17 points apiece, while the team collectively dished out 32 assists. Sloppy play by the Cavaliers defined the first six minutes of the game as they quickly fell behind 22-9, capped by an 11-2 Brooklyn run. The Nets hit on nine of their first 13 field goals, with the Cavs helping them out by contributing five turnovers. Cleveland got back into the contest in the closing minutes of the first quarter, holding Brooklyn to just two field goals in their last nine shots of the stanza. 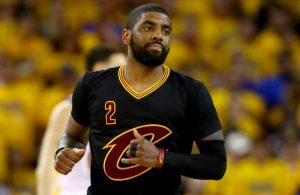 Meanwhile, Irving led the Cavs with nine points in the quarter, chopping the deficit to just three at 26-23 as the horn sounded. The Nets notched the opening basket of the second quarter, but a Smith basket, followed by an Iman Shumpert three tied the game at 28. Smith then put together a trio of threes between a Shumpert score, which was then followed by two LeBron James free throws to give the Cavaliers a 41-30 advantage with just under seven minutes to go in the half. After Cleveland boosted the lead to 45-35, Brooklyn sliced that in half just over two minutes later, but a 9-2 run by the Cavaliers before intermission sent them to the locker room with a 59-47 lead. 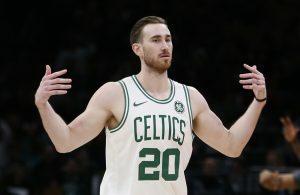 Smith’s 14 second quarter points put the comeback into overdrive, with James finally heating up with seven straight points for the Cavs after he had been held to just three free throws in the first 20 minutes of action. The Nets were able to get the margin down to seven in the opening monents of the third quarter, but the Cavs answered with a 15-4 run to give them a 76-58 lead at the 6:48 mark. Mozgov fueled that surge with eight straight points for Cleveland. For the rest of the third, the margin hovered either above 20 points or just below it, with Tristan Thompson contributing eight straight points for the Cavaliers, who closed out the quarter with a 94-73 lead. Much of the fourth quarter became garbage time, with the Cavs’ reserves able to maintain the big lead, unlike their last home game against the Phoenix Suns. James was the last of the starters to exit, departing with 5:04 to go and Cleveland ahead 108-86. The Cavaliers were able to close with a flourish, scoring seven unanswered points to take their biggest lead of the night with 1:06 to go. Brooklyn then closed out the game with a final basket to make their final deficit 25 points. The Cavaliers’ brief homestand ends on Friday night when they host the Indiana Pacers in a 7:30 pm ET matchup.